The eyes are the mirror of the soul! A Old man some where in Jakrta, I like the fiery look in the eyes though its strong but harmless. Thanks you susan, You feedback is much appreciated. I agree Potraits need to be extraordinary to do well in Free Study, it was risk worth taken. Your comment will help me improve more. 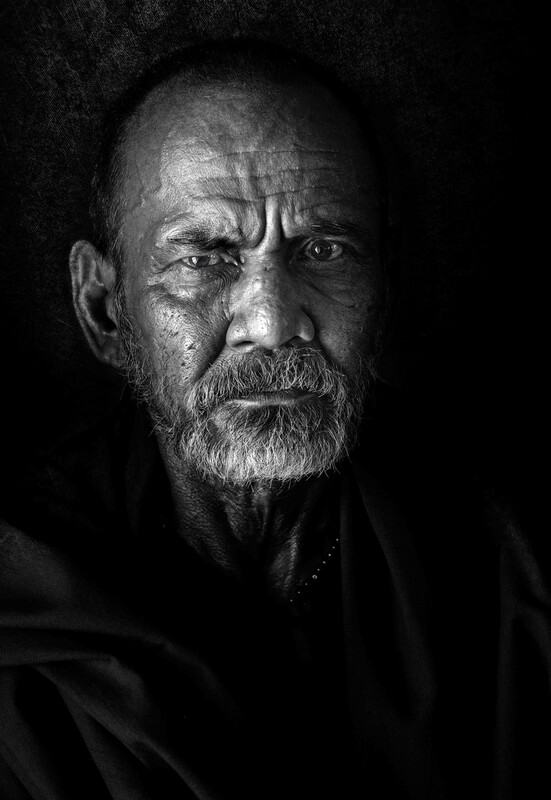 A very interesting b/w study of someone with quite a story to tell. The challenge in those eyes just dares you to ask questions, doesn't it? He is slightly off-centre so that adds to the slightly unsettling air he projects. The detail and texture are very well shown and it looks like ambient light, of which I am a huge fan. Settings look spot on to this Nikon user. And traditionally portraits don't do very well in Free Study but here you are within a hair's breadth of the top 10. Overall a great shot and very well captured. Please continue to shoot and enter and I look forward to seeing more of your work. Proudly hosted by Sargasso Networks. Current Server Time: 04/24/2019 08:08:45 AM EDT.